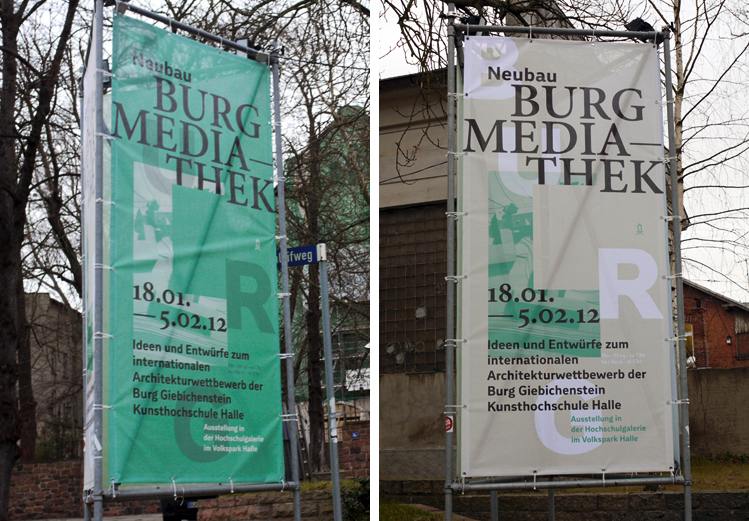 The exhibition Neubau Burg Mediathek presents the results of the international architecture competition for the new media library of the Burg Giebichenstein University of Art and Design in Halle. 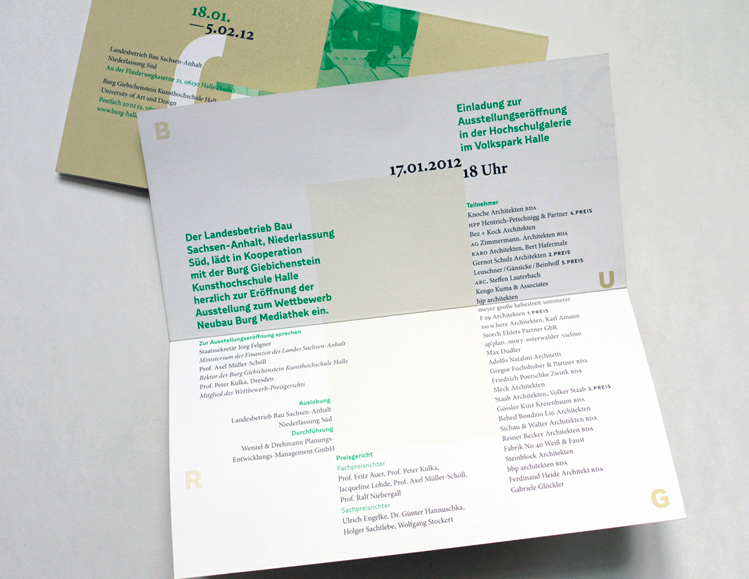 The poster and all print materials are using elements of the new corporate design for the Burg Giebichenstein University of Art and Design, which I’m cuurently developping together with Anja Kaiser. 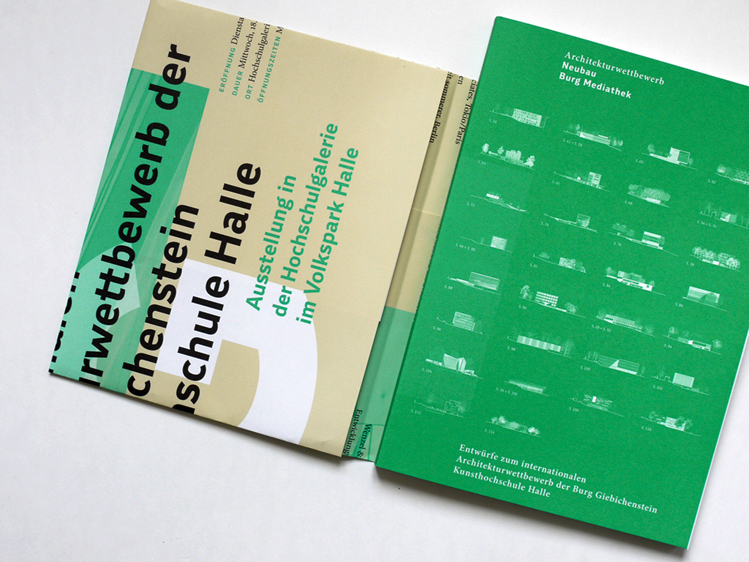 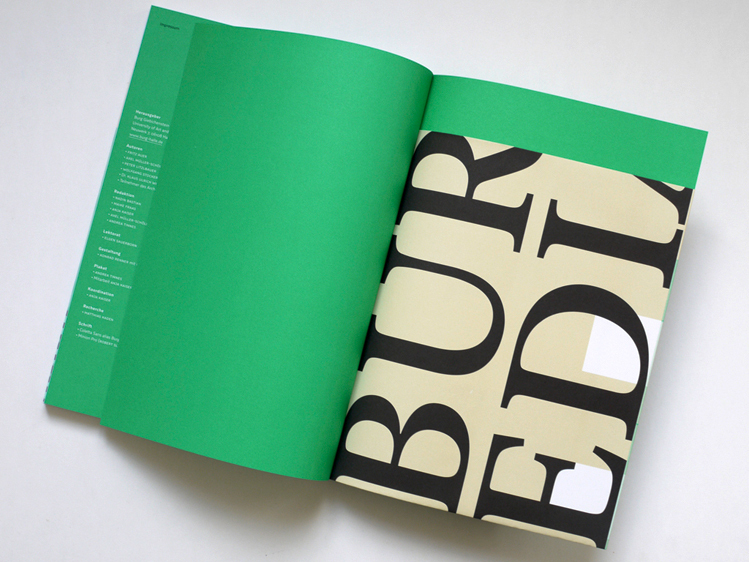 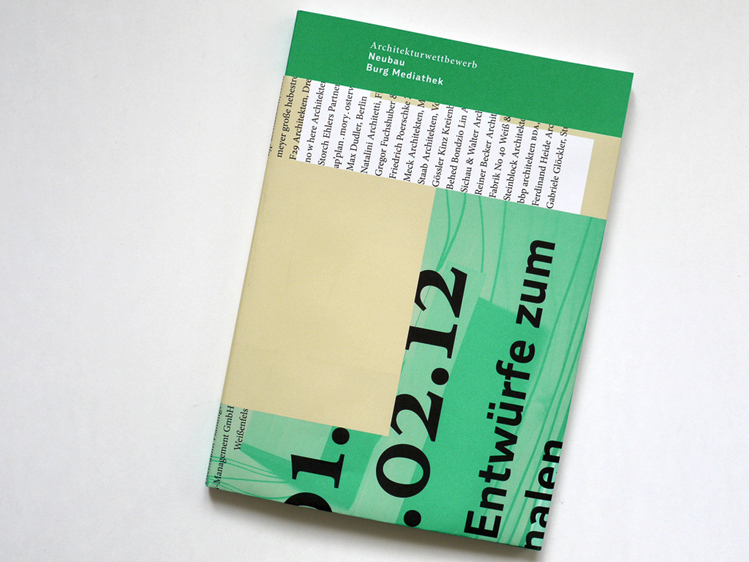 The poster serves also as a book jacket for the exhibtion catalogue, designed by Konrad Renner. 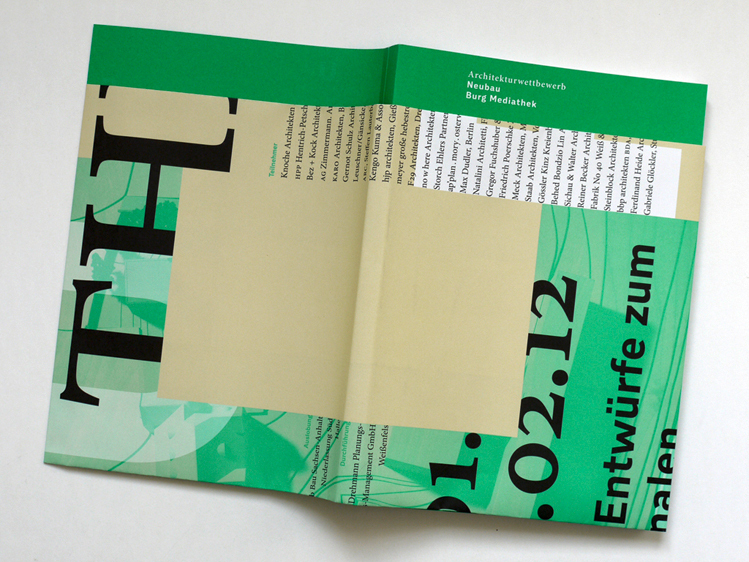 For the new identity I’m designing a new grotesk version of PTL Roletta Sans without rounded terminals. 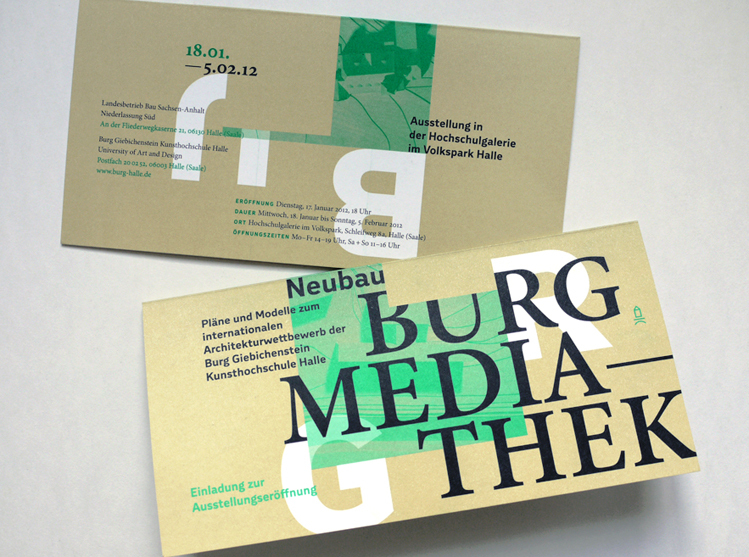 The new logotype »BURG« is based on the small caps of PTL Roletta Sans Bold. 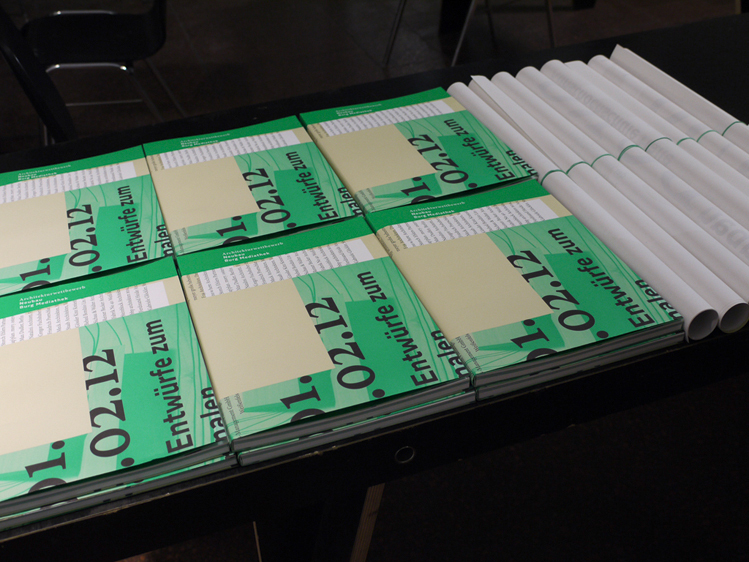 The new identity will be gradually introduced over the second half of this year.